Visiting a loved one who lives abroad is important for all families and now Canada says it has the best family reunification visa systems in the world. Citizenship and Immigration Canada (CIC) has hailed its Parent and Grandparent visa programme a huge success, with 70,000 benefitting since it was launched in 2012. Parents and grandparents who wish to visit their family in Canada can also apply for the Parent and Grandparent Super Visa which is described as a fast, convenient option for parents and grandparents wanting to spend an extended period of time in Canada with their families. To date, more than 45,000 Super Visas have been issued and CIC said that Canada has one of the most generous family reunification programmes in the world. Since 2012, Canada has welcomed more than 70,000 parents, grandparents and their dependents through the PGP programme. 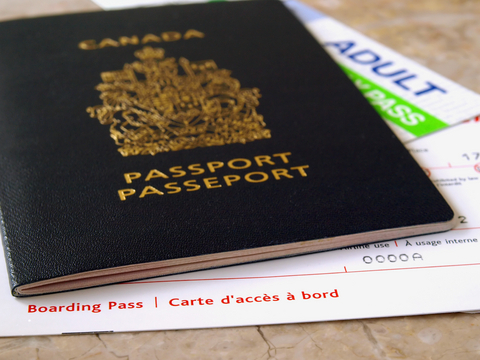 Canada’s Citizenship and Immigration Minister Chris Alexander said that PCP has been a huge success. “We have seen the highest level of parent and grandparent admissions in nearly two decades. Thanks to the government’s Action Plan for Faster Family Reunification, the backlog has already been reduced by nearly 54%,” he said. “Parents and grandparents who wish to visit their family in Canada can also apply for the Parent and Grandparent Super Visa. It remains a fast, convenient option for parents and grandparents wanting to spend an extended period of time in Canada with their families. To date, approximately 45,000 Super Visas have been issued with an approval rate of over 80%,” he added. CIC pointed out that the United States, the United Kingdom, Australia and New Zealand all have more restrictive criteria for the sponsorship of parents and only allow grandparents to be sponsored under exceptional circumstances, if at all. A maximum of 5,000 new, complete applications will be accepted in 2015. With more than 1,000 Super Visas being issued monthly, this has become one of CIC’s most popular initiatives. “Canada has one of the most generous family reunification programs in the world and we are taking action to reduce backlogs and improve processing times, so that families are reunited with their loved ones more quickly,” added Alexander.